The Forde family has been involved with Emyvale GFC for many decades. Frank Forde, a local Postman, was a regular ‘Man on the Gate’ and general volunteer to get things ready at whatever pitch or field the next home game would be played and then clear up afterwards. Similarly for fund-raising events and dances Frank was the man to look after the money. Teas and refreshments were provided by Mrs.Mary Forde, known affectionately bas ‘Ma Forde’. Patsy RIP; Kevin; Gerard; Sean RIP; Val RIP and Declan were all committed and loyal players and officials with the club and gave sterling service over many years. Val’s contribution was cut short by his untimely death by drowning while helping others in Emy Lake in August 1964 but even at his young age of 18 he had made a huge impression on Gaelic football in Monaghan and had been playing on the County U21’s the week prior to his death. 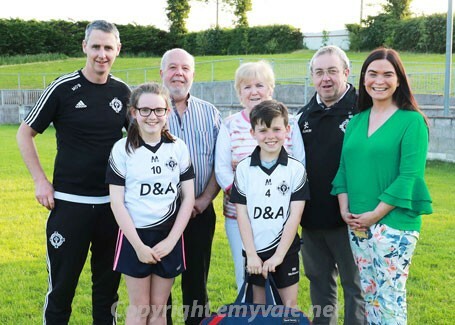 After his death the family presented a Val Forde Cup in his memory to the club and it is an annual competition confined to club members at juvenile level. The next generation played their part in the club and now the following generation are involved at Juvenile level. 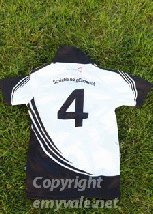 When Declan and his family heard that a set of Jerseys was needed for the Juveniles they promptly offered to supply a set and these were handed over at the Tully HQ last week. They were accepted by Martin O’Brien, Chairman of the Juvenile Committee, but with a crowd of the Juveniles, the coaches and parents present. 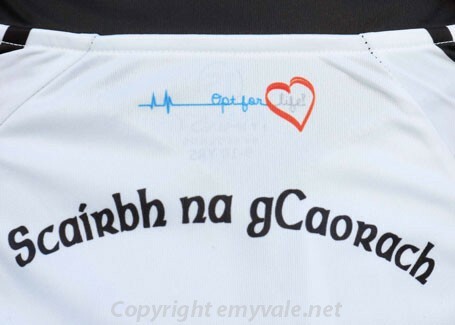 It was pointed out that the jerseys have the ‘Opt for Life’ logo on the back prompting the carrying of a donor card as initiated and promoted by Joe Brolly, who was delighted to hear that this was being done and hopes to call with the club in the near future. 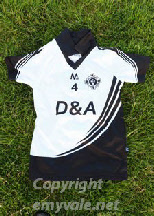 Martin O’Brien, on behalf of the club, expressed the gratitude of all for the generosity of the Forde family in making this presentation and hoed that the Emyvale teams would do them justice and wear them with pride.